Painting of the French artist Francois Boucher “Love Letter”. The size of the picture is 74 x 108 cm, canvas, oil. The plot of the picture was quite common in the art of baroque, especially among Flemish and Dutch artists, and was often repeated with minor changes. In the picture, Boucher shows the moment of arrival or sending of a love letter with the help of a dove. Next to the main character of the picture, painted barefoot on the right, is a basket of flowers, the symbols of Venus, the goddess of love. This painting is a story copy of the original, shown at an exhibition in the Paris Salon in 1753. The first version of the picture, created for the Marquis de Pompadour, is kept in the National Gallery of Art in Washington. 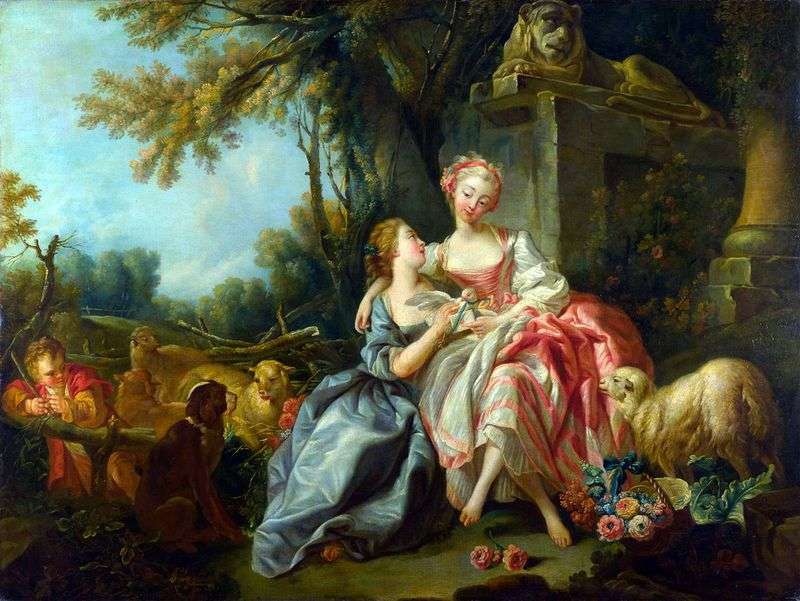 Description and meaning of the painting Love letter by Francois Boucher.